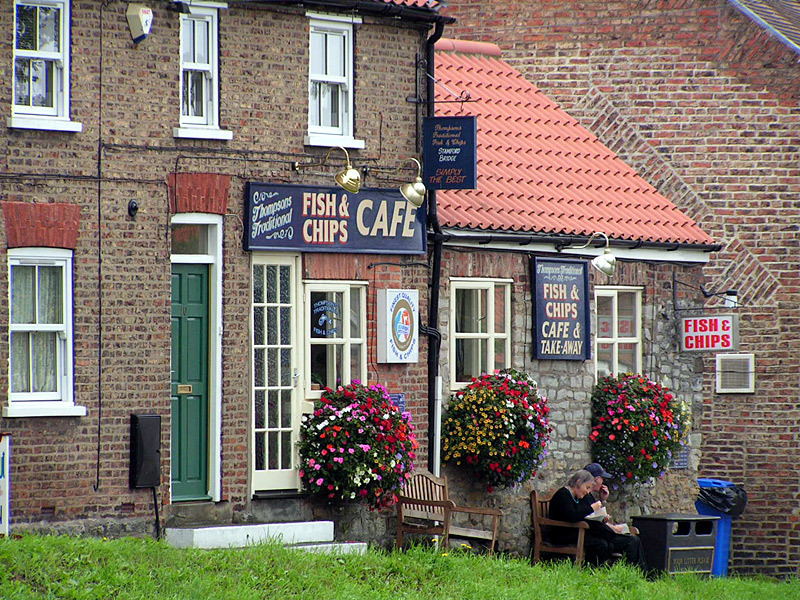 Facade: Quaint, olde-worlde, traditional chip shop – very in keeping with its surroundings. Decor: Typical chip shop vibe with the option to take away, sit in – or even better – sit out on picnic tables overlooking a lush, green park and the river. Idyllic on a summer’s evening. Dress Code: It’s a chippy, you could get away with trackie bottoms in here. As it was, we were on our way to the theatre and therefore extremely overdressed. Snap: Fabulously fried chips, beautiful flaky cod in bubbly, crispy batter, The ‘salad’ was disappointing and uncalled for – it was literally three shreds of yellow lettuce. I’d rather not have had any, to be honest. Good For: Good quality fish and chips in lovely surroundings.